Clear Correct Invisible braces are an affordable and effective cosmetic dental treatment to straighten your teeth. We can accomplish this without metal braces. In most cases, people will not even know you are wearing braces. Dr. Sedki is an experienced dentist that offers the latest dental treatments for creating the perfect smile. Clear Correct aligners are easily removable, which allows our patients to eat their favorite meals. There are no wires, so you can enjoy your meals and floss with ease. 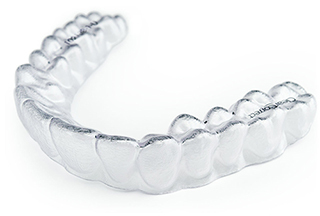 Dr. Sedki has completed certification in Clear Correct and Invisalign clear aligner braces. You will wear a series of custom aligners (plastic retainers), that apply pressure to the teeth we would like to straighten. Dr. Sedki will monitor your progress and will provide new aligners as you progress during the treatment. On average, you should wear your clear choice aligners at least 22 hours per day, until your treatment is complete. 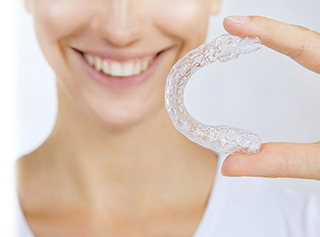 Get $500 OFF Your Clear Correct Aligners Today! During your initial free consultation, Dr. Sedki will evaluate your unique situation and determine if you are a good candidate for invisible braces. The next step will include photographs, x-rays, and impressions of your teeth to capture the shape and create the perfect smile. Dr. Sedki offers many cosmetic treatments at his Commerce Twp Dental office. Make sure to checkout veneers, dental braces, and teeth whitening. Mouth Healthy has very useful information regarding cosmetic dental treatments and procedures, make sure to check out clear correct aligners website for more information.